The Sonja Haynes Stone Center for Black Culture and History is a landmark and cultural asset on the campus of UNC-Chapel Hill. 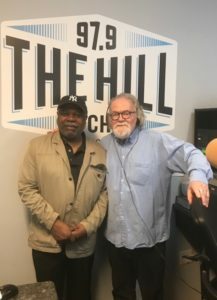 On today’s edition of “This is Tourism” — which you can listen to below — WCHL’s Ron Stutts is joined by the Center’s director, Joseph Jordan, to talk about how the Center continues to be a resource for the community. Established on July 1 in 1988 and first known as the Black Cultural Center, the Stone Center as we know it today takes its name for Dr. Sonja Haynes Stone, a UNC faculty member who gave 17 years to the university, serving as director of the curriculum of Afro-American Studies at UNC and advisor the Black Student Movement, among other advisory roles. She also received recognition by the National Council of Black Studies in the form of its “Dedicated Service Award” in 1978 and the NAACP “Woman of the Year” award in 1981. Today, the center named for her devotes its time, effort and resources to ‘raising awareness of and appreciation for African-American culture by the campus community,” according to its website. A relatively new fixture on UNC’s campus, the Stone Center opened its doors in 2004 after outgrowing its space in the Frank Porter Graham Student Union. Since then, the Center has hosted everything from in-depth panel discussions to film festivals, with guests including North Carolina poet laureate Jaki Shelton Greene and six-time Grammy nominee Nnenna Freelon.